There is nothing like a good take-out dinner. But it's always better homemade. 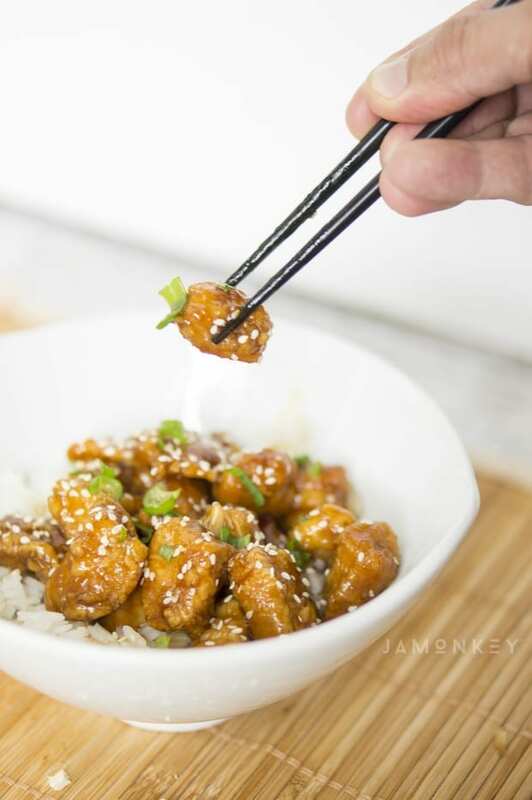 This Ginger Sesame Chicken is just like the kind you'd get at your favorite Chinese restaurant except it's made with fresh ingredients and no preservatives and additives. 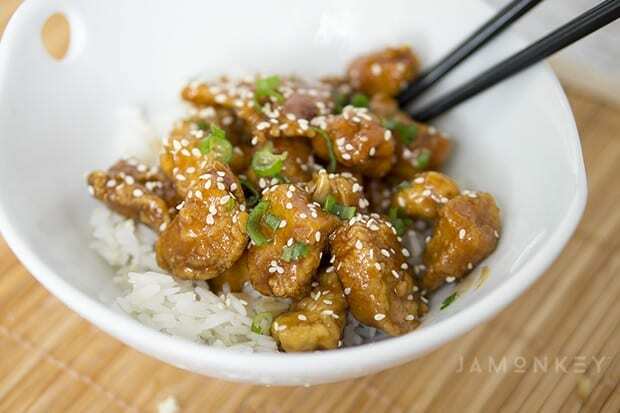 This sesame ginger chicken is one of my family's favorite dishes. This post was brought to you by Litehouse Foods. Litehouse Foods has this awesome new line of Instantly Fresh™ Herbs which are freeze-dried fresh herbs. With a little bit of water, they come back to life with their full flavor and taste and no additives. 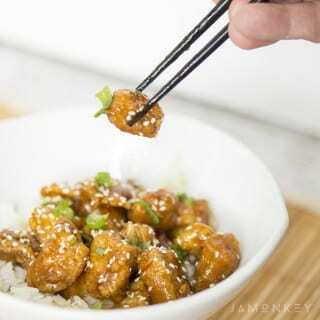 I used some minced garlic and ginger in my sesame chicken to add some delicious flavors. After I rehydrated them, I crushed them to put them into the sesame glaze. Bring broth, honey, brown sugar, sesame oil, soy sauce, rice vinegar, cornstarch and water to boil. Add in the garlic and ginger and heat until thickened. Dice chicken into 1 inch cubes and toss into beaten eggs. Place chicken into a gallon sized Ziplock bag with 1 cup of cornstarch until the chicken is well coated. 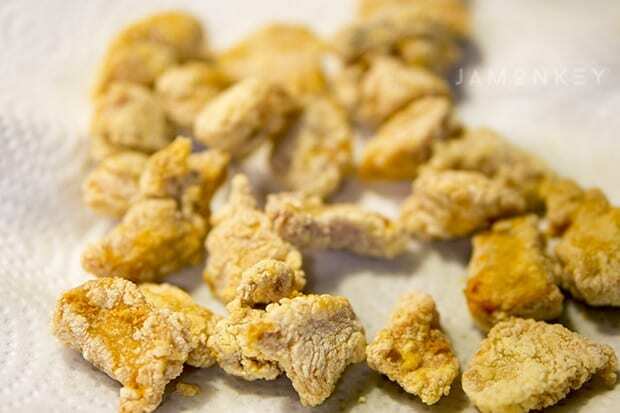 Fry the chicken until golden brown. Drain chicken on a paper towel. 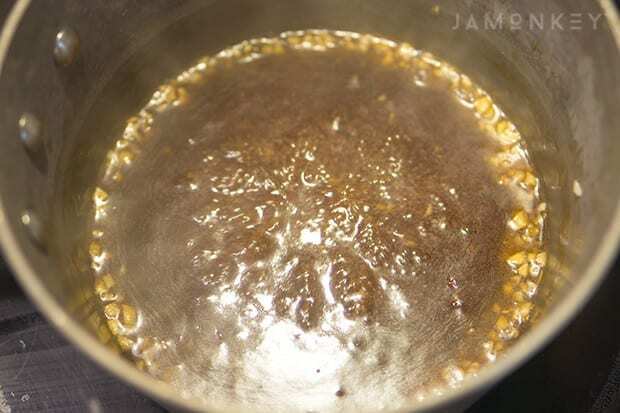 Grease a glass pan with non-stick cooking spray. I used an 8 X 8 glass pan. 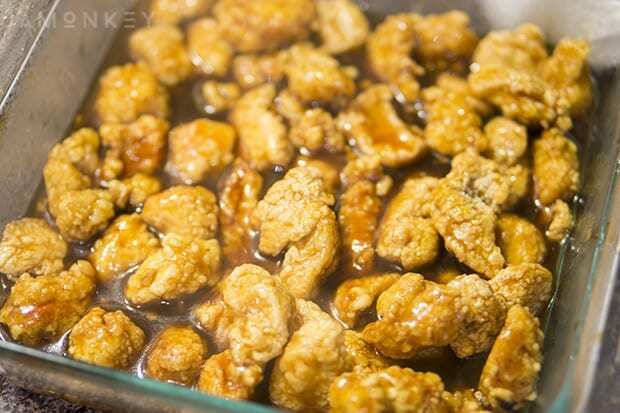 Pour the sauce and chicken into the pan and make sure all of the chicken is evenly coated. Bake the chicken at 325 degrees for 20 minutes to allow the sauce to bake into the chicken. Serve over steamed white rice like jasmine or basmati rice. Sprinkle sesame seeds and green onion. Rehydrate your herbs with a few drops of water. Chop and mashed them until fine. If you have a mortar and pestle, I suggest using it to mash the ginger. Combine 1 tbsp cornstarch with 1 tbsp water and whisk under cornstarch is dissolved. 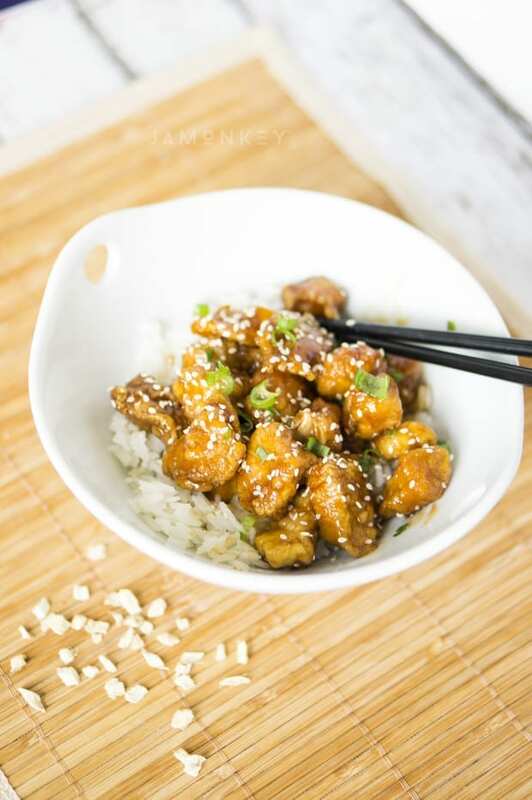 In a saucepan, combine cornstarch water, chicken broth, honey, sesame oil, soy sauce, rice vinegar, and brown sugar. Add in smashed herbs and bring to boil. Stirring often until thickened. Dice chicken into 1" cubes. Dip chicken into eggs, drain off any excess egg before placing the chicken into the bag. Fry chicken in your favorite oil, I prefer coconut oil. Place chicken on a paper towel to soak up excess oil. 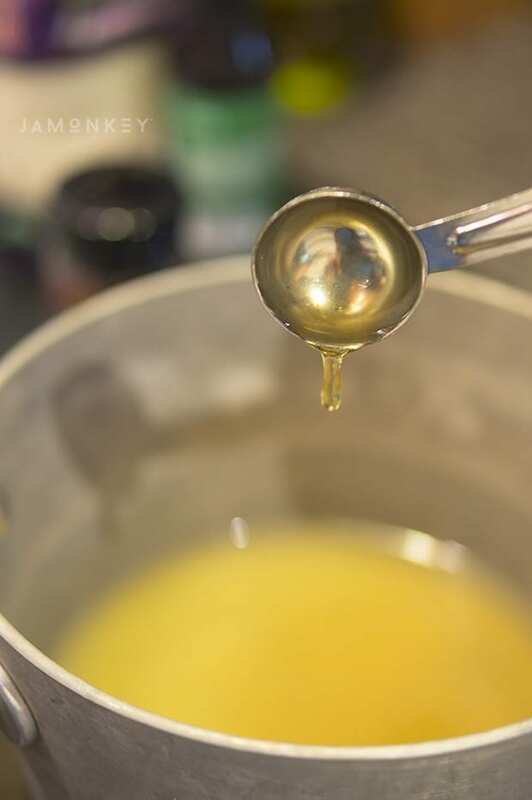 Spray a glass pan with non-stick oil. 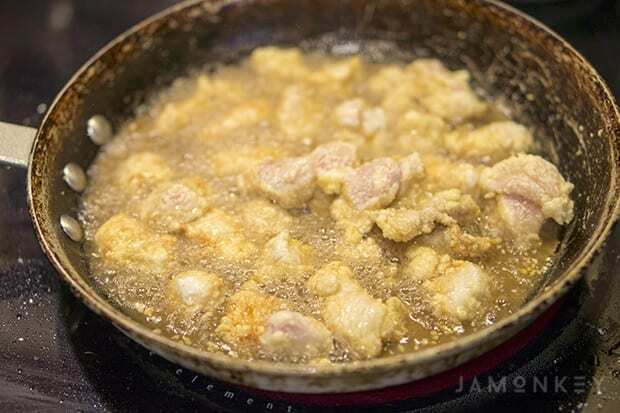 Place chicken into glass pan and pour sauce over chicken to coat completely. Bake the chicken for an additional 30 minutes. 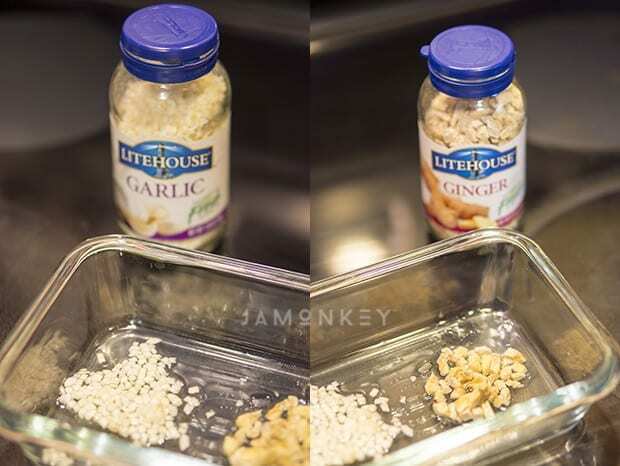 To substitute the dehydrated ginger and garlic, just replace with the same portions with fresh ingredients. I suggest using a microplane for the ginger. This looks amazing! and I don’t think I saw any gluten either! Although, hold the garlic, please! There isn’t any gluten! And yes, you could hold the garlic and it would still be awesome. I love love love asian cuisine, but am not always the best asian chef. This makes it a little easier to get that flavor I crave!